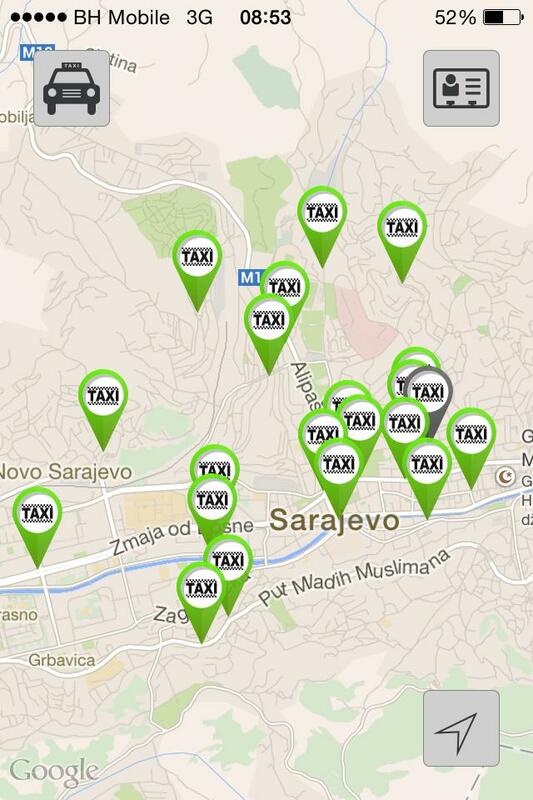 In the upper left corner of your screen, select Call taxi. The application uses Google Maps and the GPS in your phone, displaying the street where you are currently located in a form. Unfortunately, as Google Maps does not recognize the building numbers automatically, you will have to enter the correct address including the building number where you wish to be picked up. Alternativelly, you can clear the entire form and enter any address or landmark where you want to be picked up from (for example you can enter “Hotel Europa”). 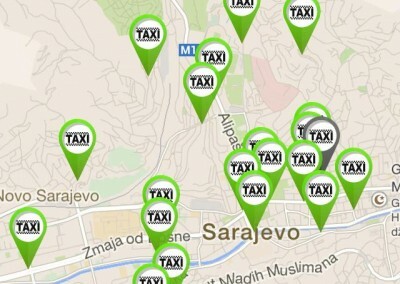 Even if no address is entred Taxi drivers will see the location from which you made the call. 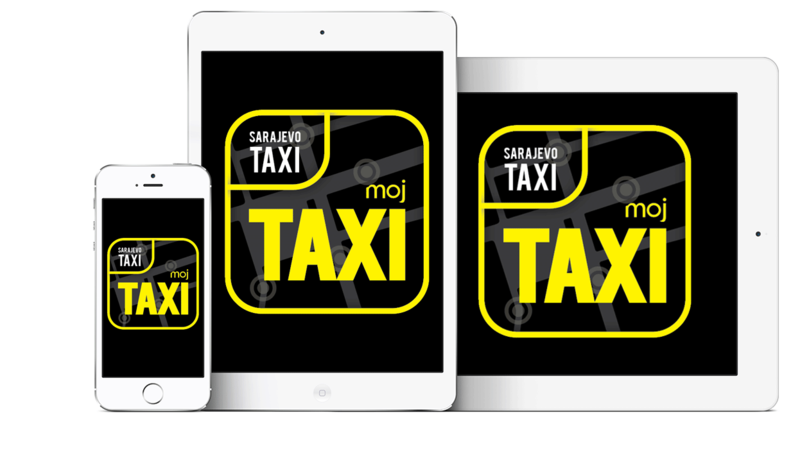 Once you confirm the address, mojTaxi app will locate the nearest available vehicle. When the driver accepts the ride your screen will display the number of the taxi vehicle on its way to pick you up. The vehicle will also be marked with a “gold” pin on the map. The movement of the vehicle will be refreshed every 5 seconds so you can track its location as it is moving towards you. If you would rather skip the automatic selection of available cabs you have an option to pick any vehicle in your proximity marked with a green pin on the map within the app. The blue dot denotes your location and based on that you are able to see vehicles nearest to you. By pressing any of the green pins you initiate the call to that vehicle. After you enter the exact address or location landmark (ie “Hotel Europa”), and confirm your selection the call will be made. The driver will respond within 10 seconds. If no answer is received (because the driver has received a call in the meanwhile) the application will offer to make an automatic selection of the nearest vehicle or you can repeat the manual selection procedure described above. After activation, your profile will become a record of all your calls, as well as the taxi cabs you have gotten a ride in. If you ever forget something in a cab, you can easily find the exact vehicle number and contact us to help you to retrieve your forgotten items.